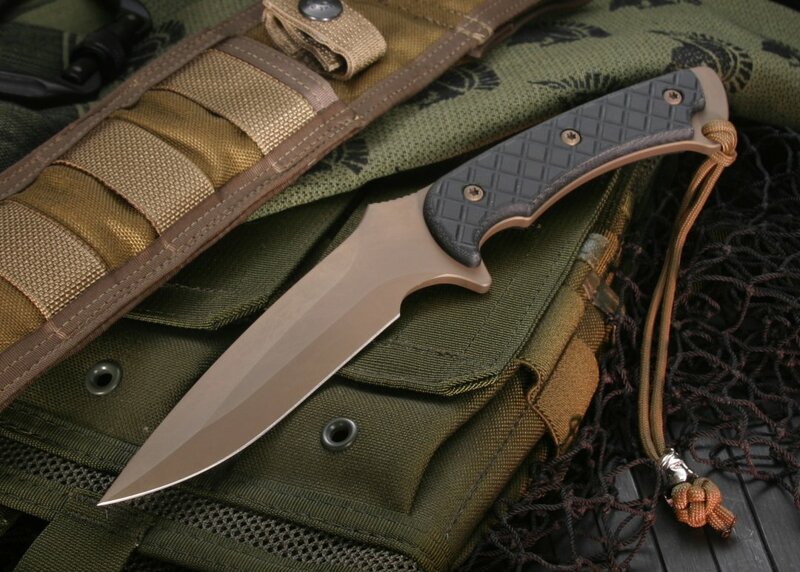 The Spartan Blades Ares was designed with the input of the U.S. Special Operations Forces, former operators Curtis Iovito and Mark Carey. The 'Ares' was designed for the modern warrior as both a fighting and utility knife. The 5.375" long blade is coated with a physical vapor deposition process of Zirconium Nitride (ZrN) which Spartan Blades calls is Dark Earth SpartaCoat. The Ares design features a filed thumb ramp on the top of the blade and index finger guard on the handle. The coating keeps the RC 58-59 Crucible S30V stainless steel both protected and non-reflective. The handle of this knife is durable black canvas micarta with a diamond machine pattern for increased traction in your hand. The full tang build is durable and well balanced. The handle design also features an exposed tang in the rear of the knife. The name of this knife, Ares, is the god of war in Greek mythology. 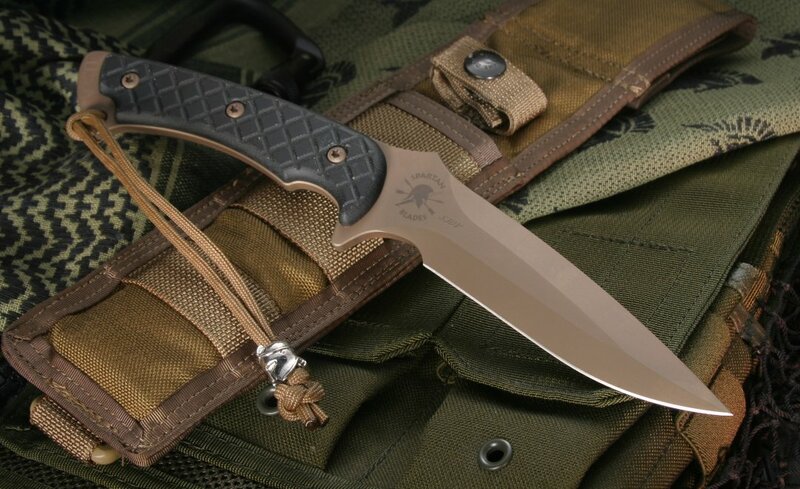 The knife is completed with a tan nylon MOLLE sheath, lanyard with Spartan helmet bead (specially included with the Spartan Blades that KnifeArt.com sells) and a lifetime warranty.